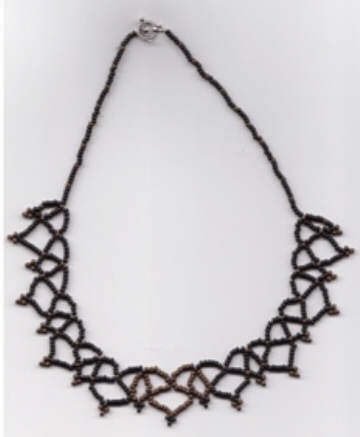 Kelly Bell chose to do the netting only in the front of this necklace, making it casual yet elegant. Here's Abby's version of the cuff bracelet. I really love the way she did the closure! 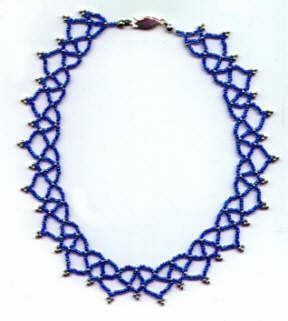 Using the tulip beads was a stroke of genius! 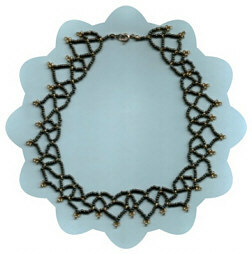 Jennifer used the cuff bracelet tutorial, then took it a step further to create a matching choker. It makes a beautiful set! 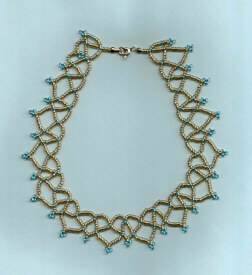 Dawn did her netted necklace in blue and gold, and it looks beautiful! 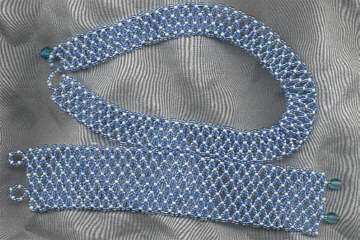 Maureen says about these three beauties, "I have just returned from a fortnight holiday in Rhodes Greece, so I would not get any withdrawl symptons I took some beads. I thought what better time when I am relaxing to try Ruby's tutorial." I say, "Maureen sure knows how to have a good time while she's vacationing!"